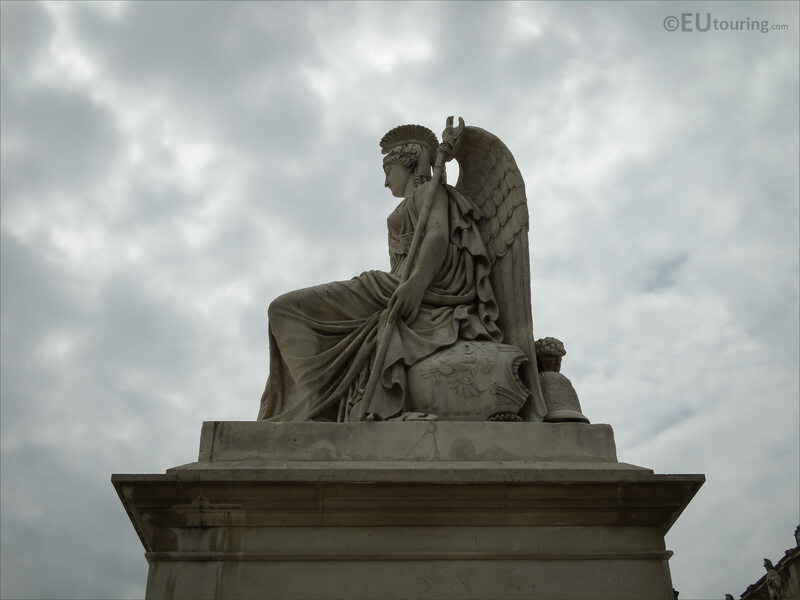 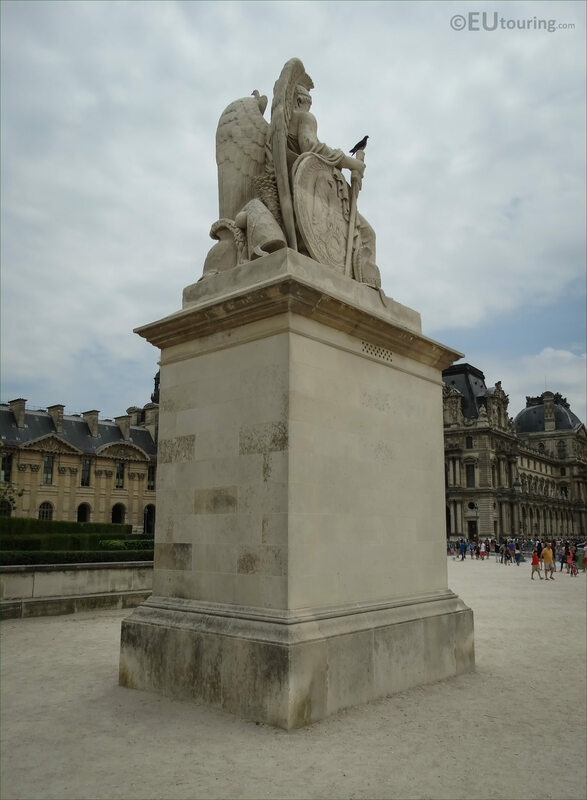 We were at the Place du Carrousel in the 1st Arrondissement of Paris, when we took these high definition photos showing a statue called La France Victorieuse, which was sculpted by Antoine-Francois Gerard. 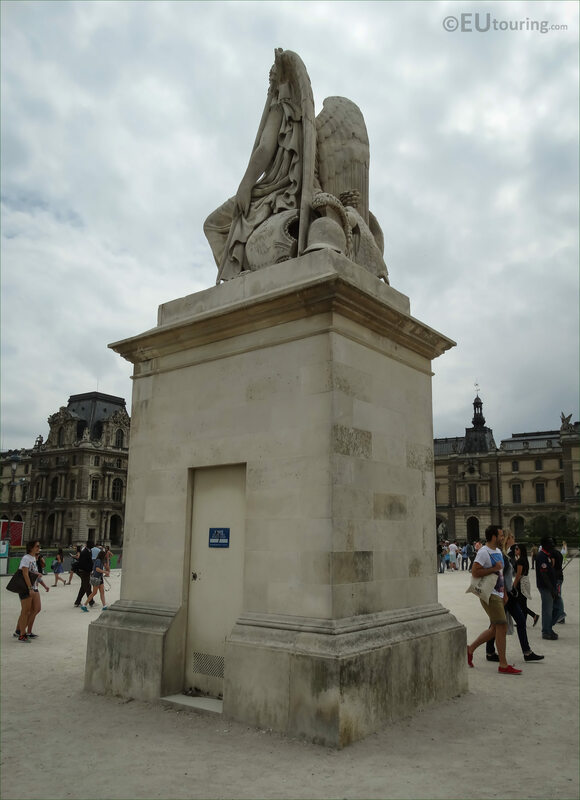 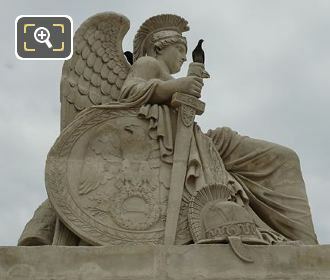 This first HD photo shows the statue of La France Victorieuse, which in English translates to The Victorious France, and this is known as an allegorical statue, which generally means that it is designed to represent something or be interpreted to reveal a hidden meaning. 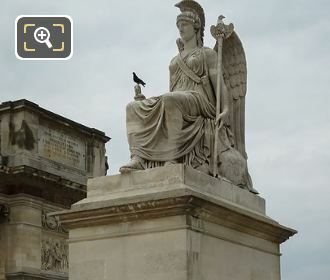 Now this next image shows the location of the statue within the Place du Carrousel, positioned to the right hand side of the Arc de Triomphe du Carrousel as though you are looking towards the Tuileries Gardens from the famous tourist attraction of the Louvre Museum, which would be behind us. Here you can see some of the fine details that went into producing the stone statue La France Victorieuse, which was commissioned during the reign of Napoleon Bonaparte and completed in 1809; this was put in position the year after the triumphal arch was finished. 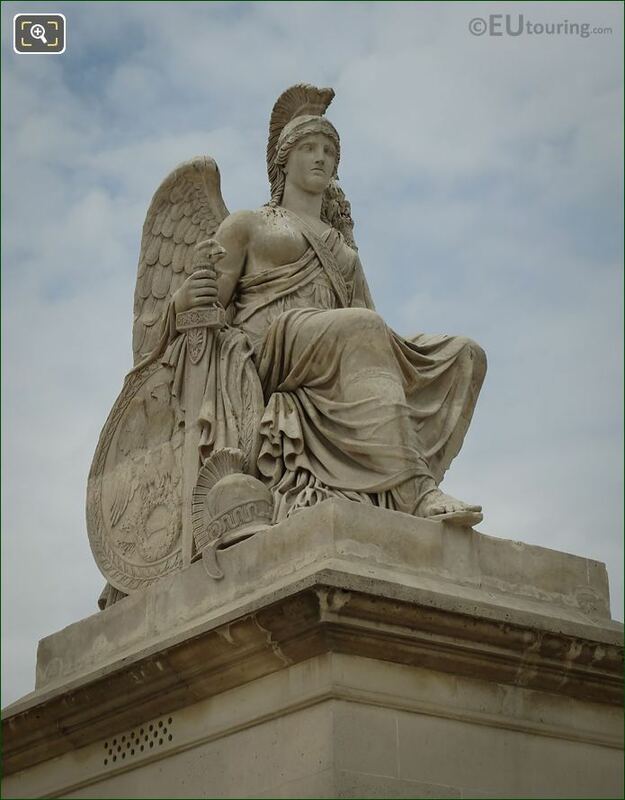 So the Victorious France was produced by Antoine-Francois Gerard who was born in Paris in 1760, and being admitted into the Royal Academy of Painting and Sculpture, he won the Prix de Rome in 1789, thus being able to further his studies at the Palazzo Mancini, which was home to the French Academy in Rome prior to the Villa Medicis. And upon his hasty return from Italy when the anti-French riots were starting to take place, Antoine-Francois Gerard received several commissions from the French state to create different statues and sculptures for some of the well known monuments in Paris, including the one you can see in this close up image showing the side of La France Victorieuse. In fact, Antoine-Francois Gerard also produced the statue on the opposite side of the Arc de Triomphe du Carrousel called L'Histoire, which translates in English to The History, plus he worked on the more famous triumphal arch called the Arc de Triomphe, which is the tourist attraction located by the Avenue des Champs Elysees. 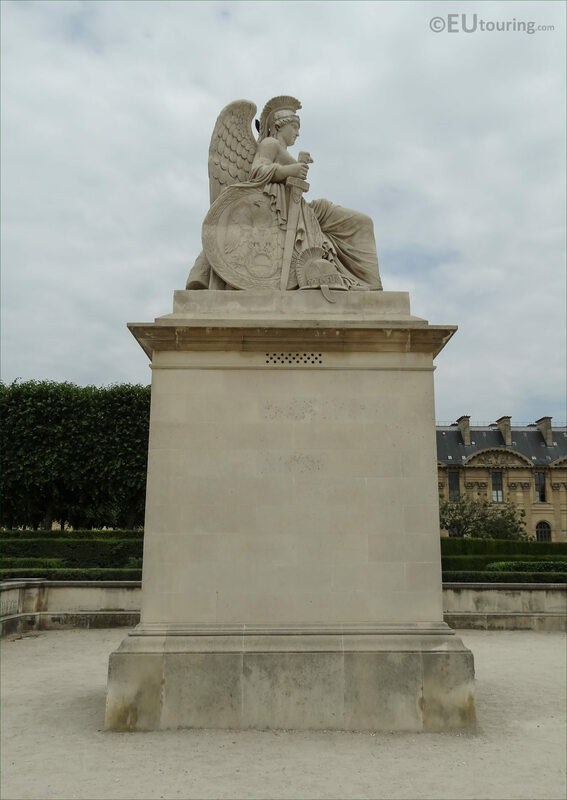 He also sculpted bas reliefs for the Vendome Column and some bas reliefs for the Carrousel triumphal arch itself, with the original plaster models first being presented at the 1808 Paris Salon, and these are now held at the Musee du Louvre. However, after the completion of his sculptures for the Arc de Triumphe, by 1830 Antoine-Francois Gerard turned his focus to producing prints, which was a life long passion that he continued until he passed away at his home in Paris on 16th September 1843. 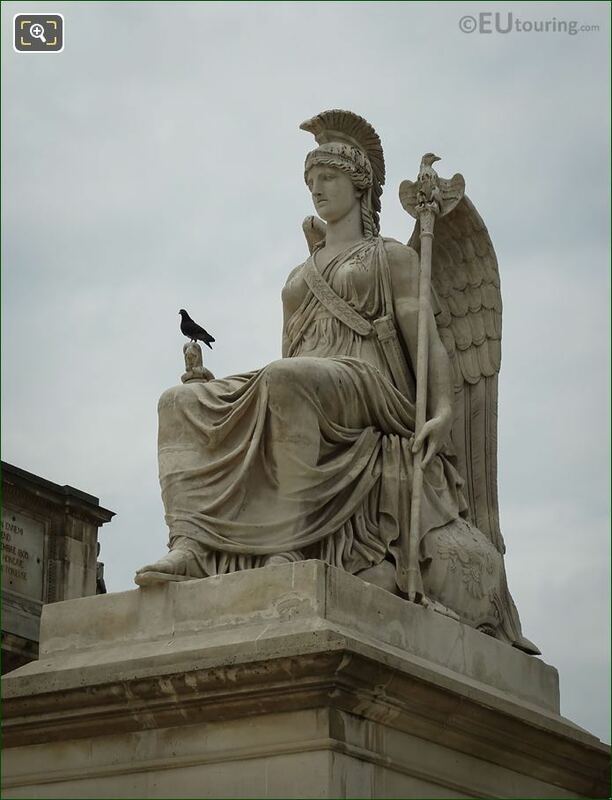 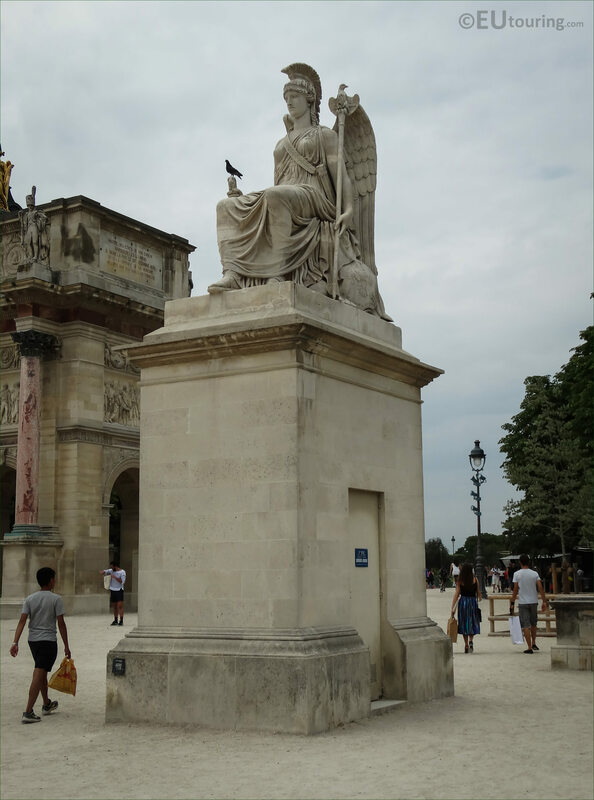 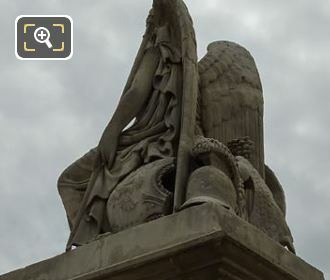 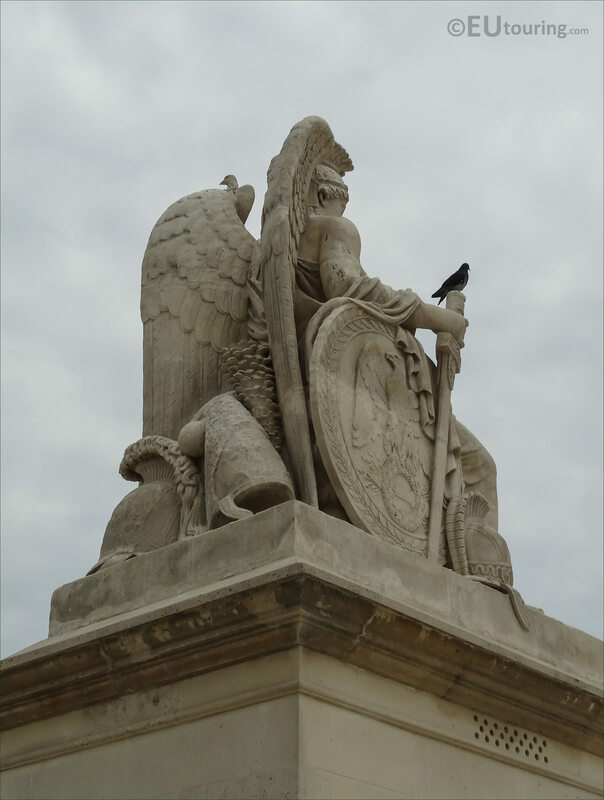 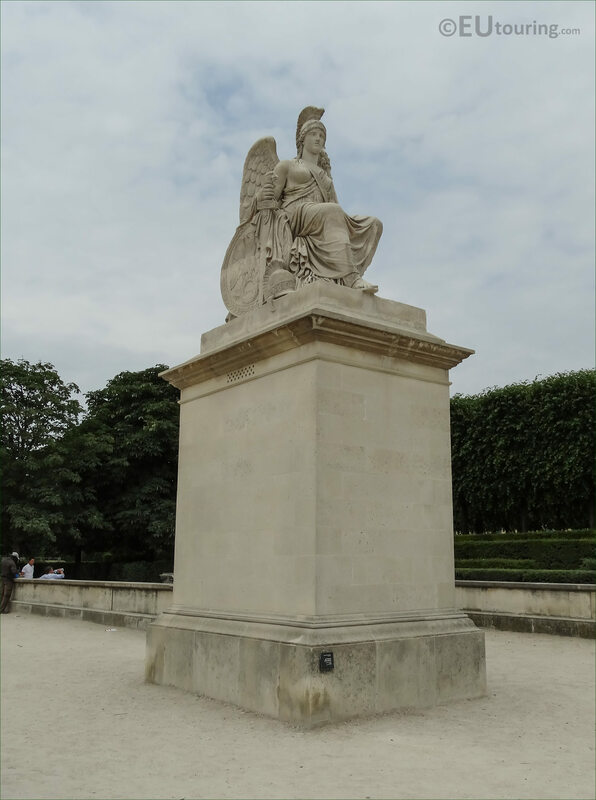 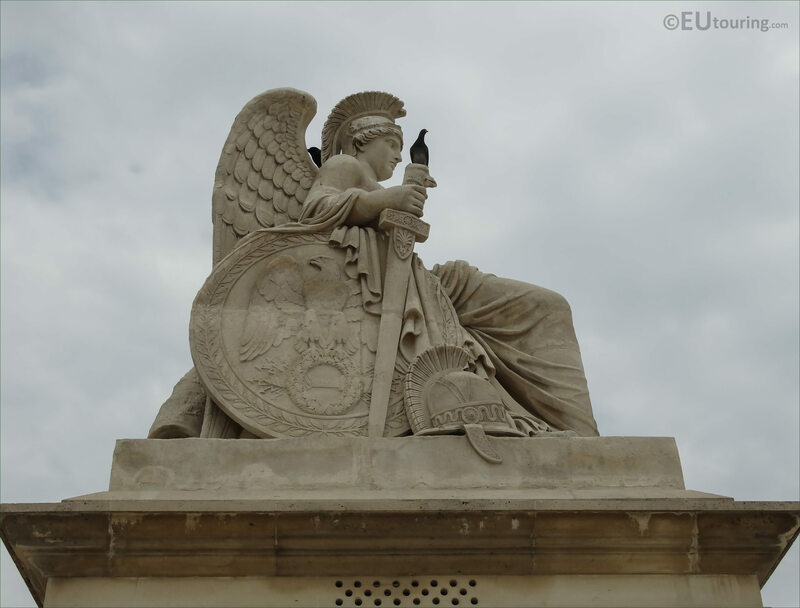 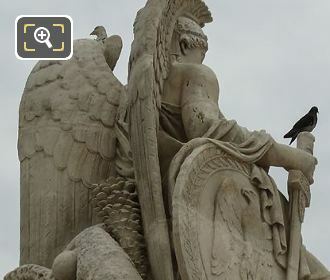 But getting back to La France Victorieuse, as you can see from this high definition photo that shows the back of the statue, it has wings, and although this is an allegory depicting a victorious France, it is also based upon a mythical theme, and hence it has wings. 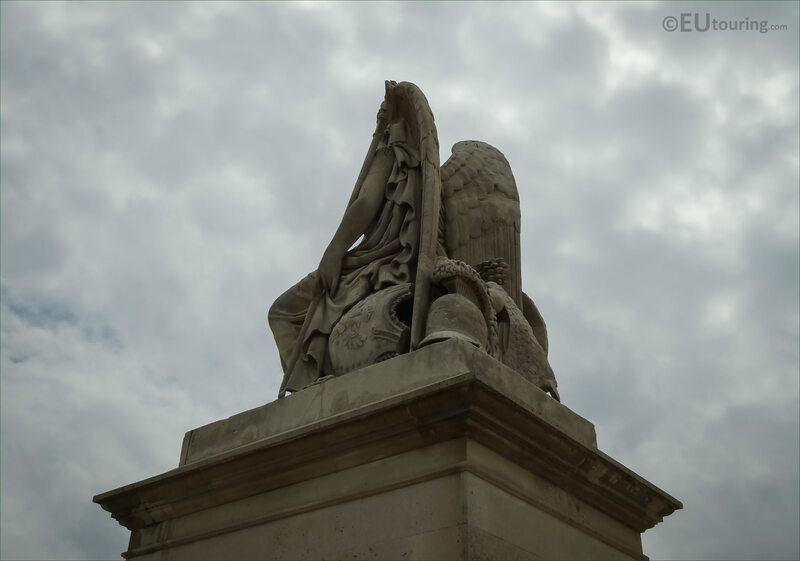 Yet this image shows the side of the Victorious France statue, and we took this photo as though we were looking towards the Arc de Triomphe du Carrousel, and this has remained in the same public place since 1809 and is just one of the numerous statues you can see in the city for free. 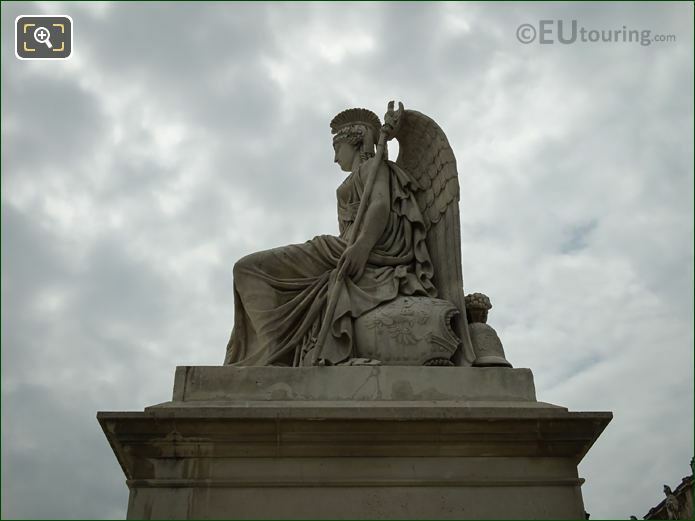 And standing the test of time, as you can tell from this photograph, the statue is mounted on an exceedingly tall and large stone pedestal base, which provides a good perspective as to the size of this in comparison to the people walking around the Place du Carrousel, which as we mentioned before, is located in between the Tuileries Gardens and the Musee du Louvre. 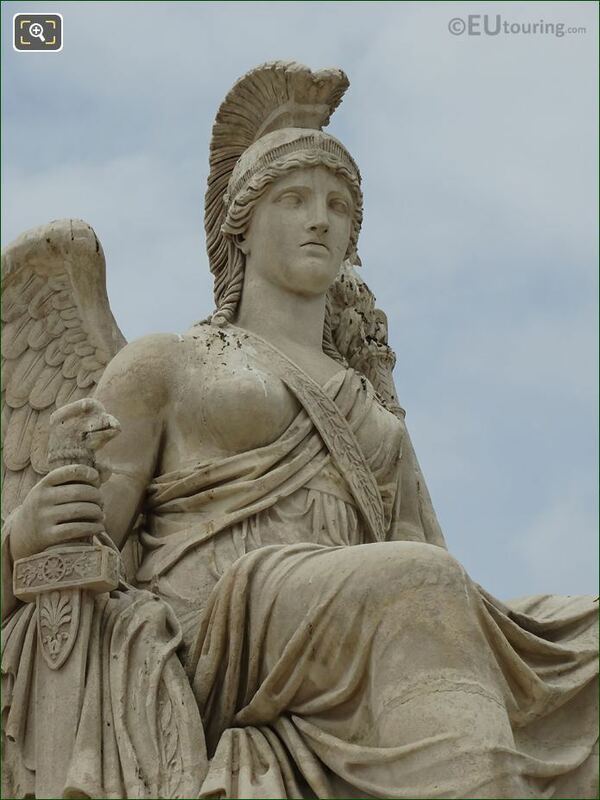 Although this last image shows another close up of La France Victorieuse statue by Antoine-Francois Gerard, yet do not get confused with another French painter by the name of Francois Gerard, sometimes known as Baron Gerard, who was actually born ten years later in Italy, yet worked in Paris as painter to the king, and died there a few years before Antoine-Francois Gerard.